William Butler Yeats was born on June 13, 1865 in Dublin. His father, John B Yeats, was a lawyer turned Pre-Raphaelite painter. In 1867, the family moved to London and settled in Bedford Park. In 1881, they returned to Dublin, where William studied at the Metropolitan School of Art. It was during this period that he became fascinated with Hindu philosophy, theosophy, and the occult. In 1886, Yeats formed the Dublin Lodge of the Hermetic Society. As a writer, Yeats made his debut in 1885 when he published his first poems in The Dublin University Review. In 1887, the family returned to Bedford Park, and Yeats devoted himself to writing. He visited Mme. Blavatsky, the famous occultist, and joined the Esoteric Section of the Theosophical Society, but was later asked to resign. In 1889, Yeats met his great love, Maud Gonne (1866-1953), an actress and Irish revolutionary whom he loved unrequitedly the rest of his life. She inspired much of his early work and drew him into the Irish nationalist movement for independence. However, she married Major John MacBride in 1903, inspiring Yeats' poem "No Second Troy". Yeats was interested in folktales as a part of an exploration of the Irish national heritage and for the revival of Celtic identity. His study with George Russell and Douglas Hyde of Irish legends and tales was published in 1888 under the title Fairy and Folk Tales of the Irish Peasantry. Yeats assembled for children a less detailed version, Irish Fairy Tales, which appeared in 1892. The Wanderings Of Oisin And Other Poems published in 1889, took its subject from Irish mythology. In 1896, Yeats returned to live permanently in his home country. He reformed the Irish Literary Society, and then the National Literary Society in Dublin, which aimed to promote the New Irish Library. In 1897, he met Lady Isabella Gregory, with whom he founded the Irish Literary Theatre. Yeats worked as a director of the theatre to the end of his life, writing several plays for it. His most famous dramas were The Land Of Heart's Desire and Cathleen Ni Houlihan. In early 1917, Yeats married Georgie Hyde-Lee and bought Thoor Ballyle, a derelict Norman stone tower near Coole Park. After restoring it, the tower became his summer home and a central symbol in his later poetry. During their honeymoon, Yeats' wife demonstrated her gift for automatic writing. Throughout his life, he continually revised his work, recounting episodes from his life in his Autobiographies and Dramatis Personae. As Yeats grew older, he turned to practical politics, serving in the Senate of the new Irish Free State in 1922. He received the Nobel Prize in 1923. Yeats and his wife's collaborative notebooks formed the basis of A Vision in 1925, a book of marriage therapy spiced with occultism. It attempted in prose to explain the mythology, symbolism, and philosophy that Yeats used in much of his work. It discusses the eternal opposites of objectivity and subjectivity, art and life, soul and body that are the basis of his philosophy. In 1932, Yeats founded the Irish Academy of Letters and was briefly involved with the fascist Blueshirts in Dublin the following year. 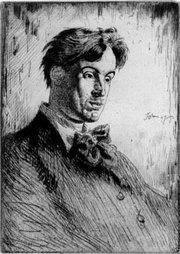 Yeats also wrote short plays on the Celtic legendary hero Cuchulain, combined as Four Plays for Dancers. They were strongly influenced by the No drama of the Japanese court, which was being translated in 1913 by Ezra Pound. Yeats plays were designed more for small, appreciative audiences in aristocratic drawing rooms than for the middle-class public in commercial Dublin theatres. He also accomplished the feat, rare among poets, of deepening and perfecting his complex styles as the years advanced. His later writings are generally acknowledged to be his best. Yeats worked on the last version of A Vision, which attempted to present a theory of the variation of human personality, and published The Oxford Book Of Verse in 1936 and New Poems in 1938.